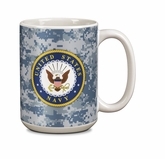 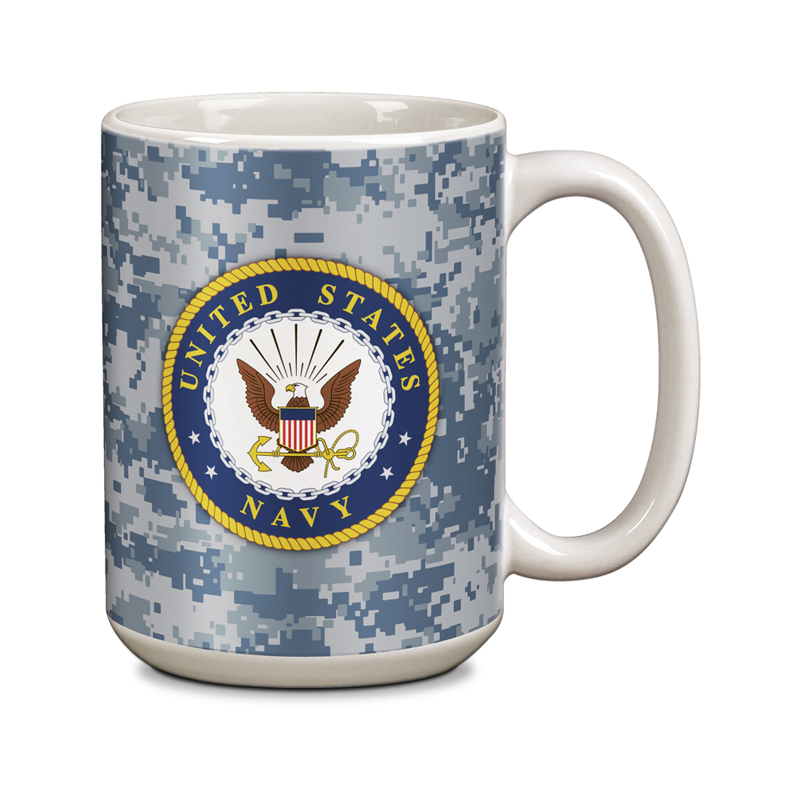 Item Description: U.S. Navy white ceramic mug, 15 ounce capacity. 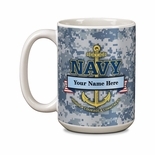 Fully wrapped logo officially licensed with scroll banner for name and rank personalization. 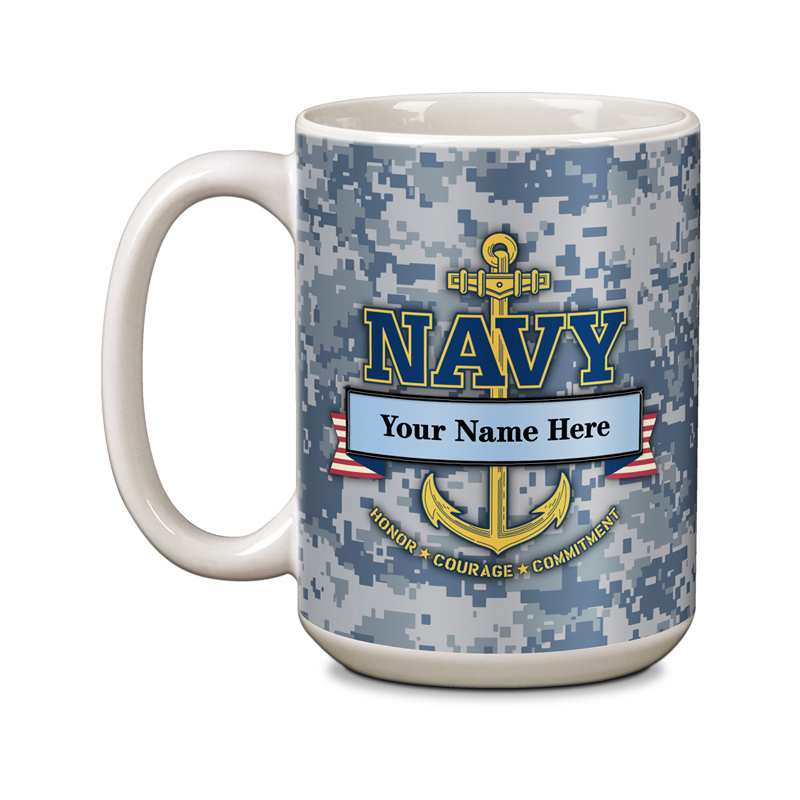 Height is 4.5 inch and 3.25 inch diameter.